8X8 Speakers Series is back! Today, we are happy to present you the first 3 talks selected from Chinaccelerator 8X8 Speakers Series events in Autumn 2018 about how knowing yourself matters while running your business. Em Robin, Founder of Inner Circles, is a female entrepreneur for 8 years who shared “Entrepreneurship is about sharing what you created”. Founder of Beijing Mindfulness Centre Dalida Turkovic shared her personal journey including how she experienced the depression and financial crisis. Andrew Schorr, Founder of Grata, delivered his insights about how important it is to be honest with yourself, have passion and experiment. Happy New Year everyone! Today we invited Sean O’Sullivan, Founder and Managing General Partner of SOSV, the fund behind Chinaccelerator, to start the Year 2019 for China Startup Pulse and our listeners. In this episode, Sean shared his experience in China and provided his analysis of the investment trends in biotech, food tech, hardware, and software areas. Also, he pointed out the role of China in the global technology ecosystem and the impact that US-China trade war will have on startups and investors. Sean’s entrepreneur life started in 1985 as a founder of MapInfo, bringing street mapping technology to personal computers. MapInfo went on to become a $200 million public company. He is also the co-creator of the term “cloud computing”. Now, Sean is managing SOSV, a Venture Capital firm which is running 6 accelerators in the world supporting investments in over 700 startups. In the second episode of our series on due diligence, we learn from Blockchain Founders Fund about how they evaluate blockchain startups and what they specifically look for in the due diligence process. Recording from Money 20/20 China in Hangzhou, our host Oscar Ramos had an in-depth discussion with Aly Madhavji and Mansoor Madhavji, partners of the Blockchain Founders Fund, who shared their insights about the due diligence process, strategy and preferences when evaluating blockchain projects, and the examples how they work with early stage projects, which is also illuminating for other startups. Here are some keywords they mentioned: Trust, product, traction, finance, etc. In this episode, Chan shared insights on how they evaluate traction, team, product, as well as what founders should have prepared for investors, the proper plan for companies to work on and lastly the differences in Asia versus the West regarding due diligence. PK is an Indian entrepreneur and angel investor in social network, content and live-stream space who built, grew and finally sold his startups InstaLively and Pulse to Tencent-owned company Hike Messenger. After selling them, PK came to China for new opportunities and challenges where he started being a consultant for Various Startups which helps China-India Startups and VCs in building the next billion Internet users in Indonesia and India, as well as mentoring founders for Chinaccelerator. In this episode, PK shared his journey about selling startups to Tencent and also delivered insights about the China-India startup and investment ecosystem, including the challenges to localize Chinese companies in India and how the Chinese data drive model works in India, etc. As of June 30, 2018, Liulishuo has over 83.8 million registered users and 7.2 million average monthly active users in 175 countries. The average daily time per user is 60+ minutes. The system of human perceptions is multi-faceted and voice is one of the perceptions that people pay the most attention to in Artificial Intelligence areas. Sogou established a speech recognition team in 2012 to explore technologies such as intelligent voice and machine translation. Now it is obviously a leader in the Chinese voice technology field. In this episode, we’ve invited Chen Wei, the Chief Scientist of Sogou Voice Interaction Technology Centre, to introduce the technological breakthroughs in speech recognition, machine translation and speech synthesis behind Sogou translation products. Chen Wei and his team also developed the Zhiyin OS system which is a system with multi-modal perception capabilities including speech recognition, handwriting recognition and lip reading ability. The edge of this technology also extends to areas such as hardware and visual identification. Perks for our listeners: You can find a promotion code to get free tickets for NewCo Shanghai 2018 in this episode. Limited tickets and first come, first serve. You must have heard of the Chinese social commerce legend Pinduoduo, the fastest-growing mobile shopping platform featuring “team purchase” and social sharing function in China which became a $23 billion empire in under 4 years. For this week’s episode, we invited Nicolas du Cray, an early investor of Pinduoduo and Partner at Cathay Capital - Innovation Fund to talk about Pinduoduo and Social Commerce in China. Nicolas shared how he decided to invest in this company, analyzed the strengths of Pinduoduo, and the challenges of internationalising the social commerce model. He also answered many questions collected from our listeners. As an early pioneer in cross-border commerce, Lu Guo chose to leave a multinational company and jump into the jungles of entrepreneurship. She shared her belief behind building her startup Shopal which aims to help global brands to build a strong presence in China through a data-driven process. She also shared her early stage business life in an accelerator - Chinaccelerator. Here is a quote from her: “The scary piece is that you only believe in system”. Shopal is a solution provider for online and offline retailers in China which has secured RMB200 million (US$29.17 million) in a series B+ round in September 2018. Chinaccelerator SOSV invested in Shopal as one of Batch 7 companies. Many opportunities and challenges are found in the startup world under the impact of globalization. Today, we have invited Omid Scheybani, former Global Head of Partnerships and Business Development at ofo to share the challenges of Chinese business going international from the perspective of management, product and brand, and also opportunities for overseas talents working in China. Ofo is a leading bike sharing company in China, which was valued at up to $2 billion and had over 62.7 million MAU (monthly active users) in 2017. Mindfulness as a tool for businesses has been growing in the West and is now starting to come to China. 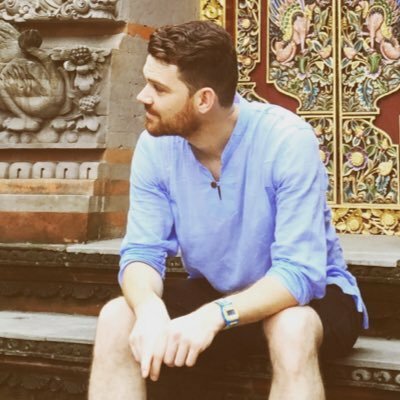 Brandon Mehrgut, of Shanghai Mindfulness, explains what mindfulness meditation is and how beneficial it is to the Chinese start-up culture and community. Practicing mindfulness can help improve attention, focus, and stress. It has also been practiced by important people and businesses, such as Steve Jobs and DiDi. Join us, and listen to how mindfulness can improve your business. Shanghai Mindfulness is an English-speaking mindfulness organization. It was founded by Brandon Mehrgut and has become China’s largest mindfulness community. Shanghai Mindfulness helps overworked, stressed out people find peace and balance. Chinese companies are exploring many initiatives to achieve business sustainability, including Ele.me's RELAB and Meituan's emphasis on environment protection. Ofo, Mobike and many Chinese bike sharing companies ever generated a large amount of attention and discussion on whether they are leading a sustainable lifestyle or just creating e-waste mountains. You can see many opportunities in different industries in China to experiment and implement your idea of sustainability. Today, we have Richard Brubaker, expert in business sustainability, to share his perspectives. Collective Responsibility is a Shanghai-based firm to design and develop corporate responsibility, sustainability, and leadership strategy for corporates, nonprofit and academic institutions. Fintech has come a long way in China, from barely being recognized to one of the fastest growing markets in the region. As the world’s leader in Fintech technology, China is a breeding ground for Internet finance companies, and accordingly, investment in the industry. With millions of users and an ever-growing number of fintech unicorns, the future of Internet finance looks exceedingly bright in China. Today, we present another special episode recorded live at RISE Conference 2018, where Oscar Ramos sat down with venture capitalist and fintech investor Wei Hopeman. After beginning her career in financial services and investment banking, Wei co-founded Arbor Ventures in 2013, the first VC fund specialized in fintech in the Asian ecosystem. She talks to us about the growth of fintech, the benefits of corporate VCs, and how founders and corporate VCs can improve their interactions with each other, as well as many other topics. Many thanks to RISE Conference 2018 for gathering global elites in Hong Kong and supporting China Startup Pulse to present good quality content for our listeners. On this day 2 years ago, China’s ride-hailing industry experienced a major turning point - Didi purchased Uber’s China operations and Uber took a 20% stake in Didi. So far Uber has expanded in more than 449 cities and 66 countries. Today, many companies are still trying to elbow into this crowded industry. In this episode, we are lucky to have Sam Gellman as our guest, the first international Uber employee that took care of the company’s expansion in Asia and China. Sam shared his past experience in redesigning Uber’s playbook to adjust to China’s unique ecosystem, channels for communication and user acquisition. Despite knowing only a bit of Chinese, Sam was assigned to create a Chinese name for Uber. Fortunately, the Chinese name 优步 turned out to be one of the most well-received foreign company names. As the person who worked on market localization for Uber, Sam also shared how they took the company from nothing to a massive exit within 3 years. China is obsessed with data. But how can you access it, and leverage it to your benefit? Kenneth Cheung shines a light on how you should be using data to market yourself or your company, and shares with us the “golden rule of WeChat marketing”. From initially acquiring data to actually learning how to use it properly, Kenneth walks this integral process while talking about his work in consulting on brand management and KOL influencer marketing in China. He also talks about the power of mini-apps, the first principals of market, and much, much more! If you want to market your brand on WeChat to its maximum potential, this is a can’t-miss episode. What do investors look for in startups? This week, we have invited Jörn Helms, Senior Advisor at the Bank of Taizhou and Country Director for China with Portier Technologies, which helps hotels improve revenue, guest satisfaction, and reduce opex. With an extensive background in small business landing (as the former VP of Bank of Taizhou) and angel investing, Jörn is experienced with both large companies and small startups entering China. Both new startup founders and veteran business owners may often find themselves confronted by conflict, whether they’re personal, familial, or business-related complications. This week, our mentors share some of their own personal experiences in conquering these obstacles and their words of wisdom on what helps a company succeed. Join us for our 8x8 Series Finale, where our final three speakers emphasize the value in venturing out into the unknown to revive passion and to crush fear, stress the importance in organizing a proper IP strategy for a business in China’s vast market, and offer strategic advice to help better the life of a startup. We hope you enjoy! Being a good entrepreneur is a multi-faceted skill. Proficiency in one aspect does not guarantee overall success, but failure or inefficiency in one discipline could cost you your business. Our guests this week provide sage advice on topics ranging from securing funding to proper networking. With years of experience in the China Startup scene, this week’s guests speak from the heart on their mistakes and lessons learned: how they sought the wrong advice, pursued the wrong business ideas, and how you should deal with the problems you will inevitably face while building your business. Whether you are an experienced entrepreneur or someone struggling with their first start-up, this episode is worth a listen! Being an entrepreneur is often defined not by one’s success, but by the way one deals with failure. This week’s three guests have all used their past experiences, both positive and negative, to find success in their current endeavors. From a past career as a skateboarder to the challenge of overcoming a midlife crisis, this week’s speakers have experienced a unique set of highs and lows which have enhanced their focus, creativity, and self-awareness, among other things. Make sure you don’t miss this episode! This episode’s guest is a pioneer and innovator in blockchain technology and cryptocurrency: Emurgo senior advisor and Chinaccelerator alumnus Darren Camas! He talks about his career and experiences in crypto, an industry for which he has been at the forefront since the beginning. He stresses the importance of having responsible business practices, the inability to plan for luck, and other lessons learned. Also interesting is his discussion of Cardano, the revolutionary generation 3 blockchain technology, which pushes improved scalability, interoperability, and sustainability. This podcast is sure to be thought-provoking and informational to both blockchain enthusiasts and those less accustomed with the industry. In this episode, we have invited Florian Bohnert, head of global partnerships for Mobike. As an entrepreneur, Florian developed an interest for Asian culture and the East very early on and has been leading Mobike’s global expansion journey, especially in China. He stresses the importance of being in the country where you want to expand your business and letting passion drive you. He also touches upon the positive impact mobike has on people’s health other than the obvious convenience it has brought to people’s lives. Running a business is an exciting and rewarding process, but at times, can also be very stressful and fraught with many pitfalls. In this episode, Mike Burns, Founding Partner of Asia Growth Solutions, talks about his experiences as an executive coach, business coach, and strategy consultant in China. He highlights the challenges his clients often encounter and gives crucial advice to leaders of all levels. This includes the importance of having a good support network, the need for strong personal values compatible with business, and the 4 key issues most leaders face! With prior leadership experience at Walmart and General Electric, Mike’s advice is invaluable to all those trying to navigate the difficult task of starting a successful business in China. Blockchain is hot. However, what we do not know is whether ICO is a viable way for entrepreneurs under the dual effects of legal regulations and market booms. Robin8, a data-driven influencer marketing platform utilizing AI and Big data, raised 3.6 million USD and also closed ICO in 6 weeks. Miranda Tan, CEO and Founder of Robin8 joined us to introduce how she developed Robin8 in China, raised money after meeting over 100 investors, and met blockchain in the end. She shared many factors she considered for the fundraising and ICO. For example, how consistent product and repeated pitch practices helped her to raise ICO in a short time. Not stopping at talking about the positive sides of ICO, she also noticed the drawbacks. Can’t wait to share this episode with you! Click to listen to it! Why RISE has helped break down social barriers with Casey Lau, Co-host for the largest tech conference in Asia. In this episode, we have invited Casey Lau, Co-host for the largest tech conference in Asia - RISE. Unlike traditional conferences, RISE has helped break down social barriers not only by its highly intellectual talks, but also by a lot of workshops, drinking, networking events. Casey talked about how RISE has developed as the world class conference in Asia. More interestingly, he analysed the trends he has observed in Silicon Valley versus China and compared their different approaches to innovation. Aiming to build diverse culture and mindset in the whole ecosystem, Jan manages Startup Grind China & APAC as the Community Director. 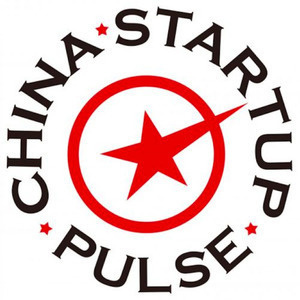 Startup Grind is the world's largest entrepreneurship community connecting more than 1 million entrepreneurs in over 365 cities, among which over 80 cities are in China. 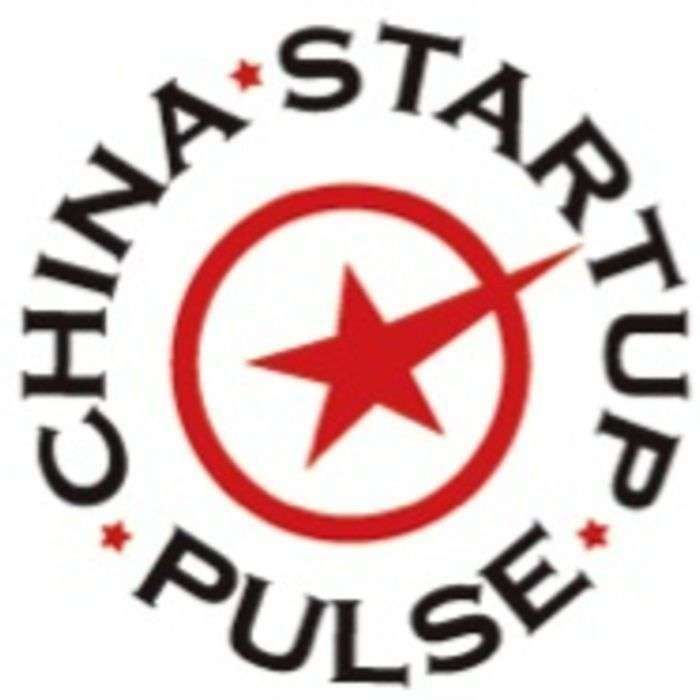 In this episode, Jan shares how Startup Grind China grew up to a successful program, his focus in managing community and most importantly, his perspective on opportunities for startups and investments in China. Can't wait to listen to it! Cheers! Are you struggling to form a team and curious what influence team dynamics? Alan Clayton, roaming mentor of SOSV took us through a journey on team building, diversity and people development. The increasing demand of mobile UI/UX and the gradual openness of the society to freelancers have led to the rapid development of China's design and creativity industry. Tezign, as a data-driven design platform, helps companies connect and match designers in different scenarios. In this episode, we invited Tezign's co-founder and chief product officer Steve Wang to share his observations in China's design ecosystem and his judgments on future opportunities. He particularly shared how Tezign, as a bridge between foreign designers and Chinese companies, has promoted the development of creativity ecosystems both at home and abroad. When you ask foreigners why they come to China to start a business, many people will say that because the Chinese market is very large and they marvel at China speed. But the key to the problem is not what brought you to China, but why you have stayed in China for so long. Today we have a special podcast with 3 "Laowai" guests who have been in China for over 10 years and are respectively leading the frontiers of venture capital accelerator, corporate innovation and entrepreneurship in Shanghai. From their mouths, you will hear China's great changes in the past decade in the eyes of foreigners. Let's listen to it! With more than 8 years of experience at the world’s leading gaming companies, Kevin Yu decided to stay in China and build Sidechef, “Netflix for recipes” after his first startup exit. Realizing people’s passion for food and cooking, Kevin is determined to unlock the inner potential of people and used the lessons from gaming industry to food industry. With 11 team members working and living in 5 different cities, Fei Yao and her company QLC are redefining working, learning and living. After leaving a traditionally successful career path as a management consultant, Fei founded the remote internship platform QLC. In this episode, she shares her view of the growing demand of people changing their jobs, and advocates the idea of lifelong learning and co-living. “Entrepreneurship helps me to define who I am,” says Brian Tam, the founder of a creative and innovation consultancy named Let’s Make Great. Realising the need for creative thinking and innovation in China, Brian shared with us how he started his self discovery adventure in China and later catalysed his ideas into creating “Let’s Make Great”. He also touched upon how innovation in China has involved, the changing perceptions of innovation in China and his take on how to approach it. Venture Capital tends to shut the door if you don't have a team, a product and some customers due to too many risks. Increasingly, entrepreneurs in China with just an idea are having difficulty in getting money and help. Focused on the ideation stage before accelerators and incubators, Albert Liang, CEO and Founder of IGENESIIS, is dedicated to inspiring people to become founders through a 4-month process with their mentor community and courses on various skills and core values. As a serial entrepreneur, Albert has prospective insights about why the current environment is already ready for IGENESIIS and what investors will do about this opportunity. When young, independent professional women struggle to find the right network, resources and support, what dilemma are they facing? In this episode, Michelle Li, founder and CEO of Sorority China, has all the answers. Coming from a single child background and having experienced living in a supportive sisterhood in school, Michelle tells her story on how she started creating a sisterhood for women entrepreneurs, growing mentors and changing the gender dynamic in China. When trust has become the biggest issue in the Chinese healthcare market, how do you tackle the market and rebuild trust? In this latest episode, Sébastien Gaudin, CEO and Co-Founder of the CareVoice shared with us his experience tackling one of the biggest market in China - healthcare. His solution, “trip advisor” for healthcare, helps bring private healthcare trust and a sense of peace of mind with very simple ideas. Assumptions will never become facts untill you validate it. How to validate your idea? Design helps. Grace Ng, Co-Founder of Lean Startup Machine shared how and why she built the Javelin Board and many interesting ideas about optimisation in design needs for questions. As a female entrepreneur, she has also observed how the global scene is opening up to women in technology ecosystem. Startup like a rolling stone; trailblazing within the China music and event industry with Archie Hamilton founder and CEO of Split Works. Building something that doesn't exist is what some entrepreneurs thrive on. The risk, challenges, and potential drove Archie Hamilton to pioneer an entire industry in China. Archie Hamilton founder and CEO of Split Works, started in 2006 to help build the music festival industry in China. Realizing that there was no audience here, he started to make up the rules and fought to understand his audience while learning how to survive, and built one of the greatest music festivals in China. Step 1: Validate your assumptions! Startups all over the world make the same mistake; they build a startup based on assumptions, with no data to validate a need. Trevor Owens, Co-Founder of the Lean Startup Machine, and author of The Lean Enterprise takes us through his winning method. His vision: "I want to create more millionaire entrepreneurs; if you really want to start a unicorn, it really helps if you already built a successful company, it really helps even more if you have a few million in your bank." PayPal and Pinterest; recognised instantaneously and an embodiment of the Unicorn Startup. This week, recorded Live!, and 3rd part series from Chinaccelerator's 8x8 event in Shanghai, Peter Davison, serial unicorn investor, breaks down the journey of these superstar startups having invested and built up both Pinterest and Paypal. David Chen Co-Founder of Angelvest, the first and largest seed investment group in China, also sheds light on how success is defined by the investor and the secret to getting funded in the East. If you don't plan, then plan to fail. This week, Geoffrey Handley challenges the assumption that start-up failure is good and emphasises how founders shouldn't settle for mediocre wins. Founders talk about hard work, as much as good luck. This week, Arthur Hayes, Co-Founder of Bitmex, tells us why to build something that makes money right away, the importance of having supreme confidence in your own vision as an entrepreneur, and cuts right to the core of what bitcoin enables the World to do -financial inclusion and more open trade. Living in China comes hand-in-hand with having Wechat -one does not function without it. With payment solutions, business accounts, taxi services and more, Wechat's efficient utility services are far surpassing the likes of Whatsapp and Facebook messenger. This week, we podcast Live! From the Chat conference -China's largest Wechat conference for the international community, hosted in Shanghai by China Channel and Walk the Chat. Wechat hacks are the new cheat sheet for optimising user and business growth. This week, recorded Live! from Chinaccelerator's 8x8 event in Shanghai, Jenny Zhu, Co-Founder of Open Language, shares how to fine-tune content strategy, avoid cheap tricks, allow users to buy what they love, and the importance of tracking campaigns for sustained growth. "Mobile payments in China are at least 3-5 years ahead of Europe." This week, Tobias Pfütze, Consultant at Mediaman Shanghai, Partner at China Fintech, and G20 delegate for the Young Entrepreneurs Summit, makes a strong case in arguing how Fintech in Asia is not only different from everywhere else, but in fact, proves that China is leading the World in Mobile Payment Solutions, with the Fintech crown jewels of Wechat Wallet and Alipay. Throughout time, superheroes have had a common set of attributes: unmatched resilience, defiance against doubters, and generally making the World a better place. Superhero Entrepreneurs are no different! This week, we welcome two awesome storytelling film makers, SiokSiok and James Fong, recorded Live! from Chinaccelerator's 8x8 event in Shanghai, as they share how to market yourself as a Superhero Entrepreneur in a movie style narrative. TechCrunch -the leading technology media platform, dedicated to obsessively profiling startups and reviewing new Internet and tech news. What better way than to pick the brains of Ned Desmond, COO of TechCrunch, who joined us Live! at Shanghai's TechCrunch 2016 Conference! Ned chats to us about the hottest cross-border startups, the $6billion USD which TechCrunch companies raised, and also looks back on the biggest challenges TechCrunch faced. We also discuss the cultural phenomenon of Silicon Valley, its representation in popular media, and the impact this image has had on global startups. It doesn't matter whether you're in Silicon Valley or Silicon Alley in Beijing, this episode has something for every curious entrepreneur, investor or listener! Start-ups aren't all tech nerds and T-shirts; some evolve into elegant and classy enterprises, paid to essentially throw glitzy parties from the rooftops of China's hottest cities. This weeks guest, Stephane de Montgros, shares how he uprooted from France, moved to China, and co-founded China’s leading luxury hospitality events management company, Riviera Events, and The Hotelier Awards! Hindsight is 20/20. This week, Kevin Chen, tells us the hard lessons learned since ‘committing career suicide’; quitting his corporate life with Merrill Lynch and Lehman Brothers, to building multiple start-ups before co-founding Italki, a leading language learning social network that connects students and teachers for language exchange and paid tutoring, which recently closed a US$3million round of funding. Disruptors within the manufacturing space are forcing a change to the old adage 'Made in China'. This week’s guest, Jacob Rothman, Founding Partner of Platform88, tells us exactly how technology has caused manufacturing in China to pivot. Platform88, a manufacturing network that brings ideas to life, is at the forefront of this movement. Blockchain isn’t entirely synonymous with bitcoin. Want to know how to differentiate Blockchain vs. Bitcoin in under 30 seconds? Then tune in with Remington Ong, Partner of Fenbushi, a $50million fund, that is headquartered in Shanghai and specifically invests in early-stage Blockchain technology startups. Known for amazing bagels and craft lattes in Shanghai, David Seminsky tells us about his whirlwind China adventures including his early days at Apple and sharing an office with Steve Jobs, to accidental China jail time, to founding a string of successful brick-and-mortar businesses: Sumerian Coffee, Boom-Boom Bagel and everyone's favorite curbside pub Dogtown! Ever wondered who operates the internet? This week, Tudou’s first foreigner CTO, Steve Mushero, tells us how he uprooted from the Valley, moved to China, and co-founded China’s 1st and leading cloud service, ChinaNet Cloud - essentially running the backend to the World’s largest internet user base! Building a startup is hard enough but going solo in China, without a Chinese co-founder, is exactly what Ronan Berder, CEO and Founder of Wiredcraft, did. This week we talk about how he bootstrapped his company from the ashes of a failed startup into a global DevOps company, with huge international clients such as the UN, CNN, Starbucks and the Worldbank. Failing in China’s harsh start-up climate is an all too common occurrence for those foreigners with the guts to chase middle kingdom success. If success is met however, one must then begin the arduous task of then just keeping the door open. Successfully exiting? Folklore. This week’s guest, TR Harrington shares with us the hard things he learned along the way: breaking up with business partners, optimising deal terms with stakeholders, raising money just before the financial crisis, and how he managed to complete his journey on a high by being acquired by iProspects! Entrepreneurs worldwide have a set of common values. Do work you love. Embrace change and risk. Build things that matter. Make a positive impact. This week’s guest, Lucio Pentagna Guimaraes Neto, tells us how he pivoted from his Brazillian legal, MBA and corporate CEO background, to sailing the world, end up in China, self-learn 3D modelling, and go onto founding Shanghai’s first collaborative maker space, XinFab. We've discussed the value of Guanxi when starting up in China, but there is another cultural phenomenon here commonly known as "giving face". This can be one of the most difficult pills to swallow for foreigners starting up in China but can prove to be an extremely valuable asset for those that can pull it off well. This episode really dove deep into how to mitigate your frustrations with some of China's systems and beaurocracy, and where to look for opportunites in them instead. China is the largest market place for internet lending in the world, almost quadrupling the rest of the world combined at nearly $60 billion in 'originations' (where loans are being 'originated'). We discuss why this is the case talking about the 'black economy' in China that has moved online, and the lack of the ability to gain credit or obtain a proper credit score. We also talk about the role that internet banks are going to play in this field helping small to medium businesses obtain loans in the future. Stanford before it was cool; Yahoo! before internet mail and search; Walmart e-commerce in China: To say Mr. Lee has been ahead of the game would be a serious understatement. Joining BTCC as CEO in 2013, Mr. Lee has grown BTCC to become China’s no. 1 Bitcoin giant, and one of the largest Bitcoin exchanges in the world. Milo is an expert in advertising, who knows how to bridge the gap between big business and the solutions startups bring to the table. He is an Expert in Residence at Chinaccelerator who helps teams develop their story and message. He has worked at many of the big names in advertising and brings his experience and approach to startups in today's cast. This week we dive into the legal landscape of starting up in China with the man who helped Kai Fu Lee put together the $500 million U.S. dollar fund, incubator and accelerator, Innovation Works. Benjamin left California to become an IP lawyer in Beijing in 2006, then post Innovation Works Benjamin joined Cooley LLP in China before recently joining Loeb & Loeb, so he has an incredible amount of experience and knowledge that he brings to the podcast. After a successful blogging career with Mobinode Gang then turned it into the first full-blown tech and startup online news site Technode. Ganglu also runs TechCrunch.cn, the China version of TechCrunch, and is a fixture in startup journalism in China. We tap into his incredible experience covering news and trends in China looking to better understand where the ecosystem has come from, where it is, and where it's going. Crowdsourcing, co-founders and the first Chinese start-up to be accepted to Y-Combinator. 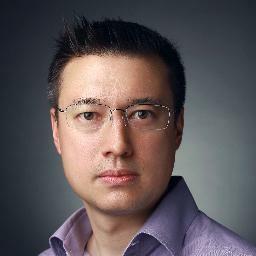 Buckle up as we welcome one of China's top entrepreneurs David Chen, CEO of Strikingly.com. Having quit Goldman Sachs and his studies at the University of Chicago, despite his parent's wishes to the contrary, David never gave up on his dream and followed it to Silicon Valley despite not getting into Y-Combinator on his first attempt. A treat for the China Startup Pulse as we welcome the man behind one of the most successful VC funds in the world. Sean tells us about his passion for music, engineering and humanitarian work as well as MapInfo, Sean's first start-up that put street mapping on personal computers (that subsequently went IPO). Stephany Zoo joins us on this week's show bringing energy and insight to the art of networking. Founder of The League of Extraordinary Women, Co-Founder of BUNDSHOP, Founding Partner of LeagueX, SH Director of UN Charter School World Acadamy for the Future of Women, (the list continues)...we dip into a variety of topics to hear about Stephany's vast experiences. Cocktails, coding and coaching - How to run a sucessful IT business in China. 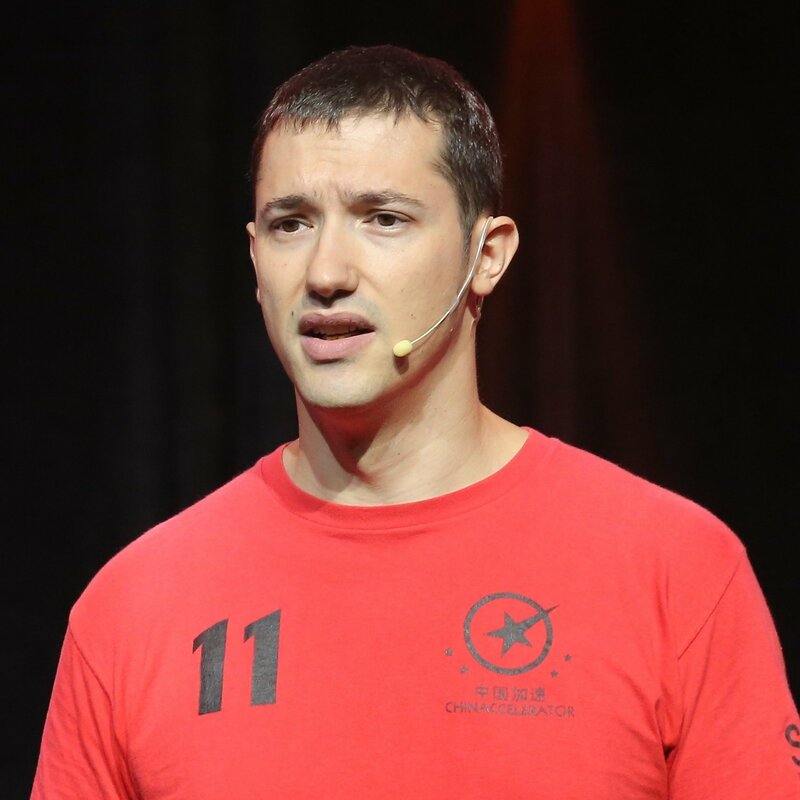 On this week's podcast we welcome Stephane Monsallier, a coder since the age of 10. After leaving France in 2003, Stephane setup System in Motion - an IT solutions business here in Shanghai. This week we talk with local entrepreneur Natasha Fang, Founder of the upstart digital marketing agency Tolmao Group in Shanghai discussing channels beyond WeChat and which you should consider and why. One key topic was why only marketing online isn't enough. Tolmao Group promotes event marketing to grow brands and build a following offline, and Natasha shares some local knowledge on a marketers guide for multi-tier cities in China. Who needs a plan when you've got a big bag of hustle?! In this episode we talk with Andrew Collins, CEO of Mailman Group and one of Shanghai's most successful entrepreneurs. After moving to Shanghai in 2006 and acquiring The Mailman Group, Andrew has turned it into a leading digital, social media and investment group in China. Andrew also shares his stories about launching their new ventures KAWO and Shopilist via Mailman Ventures. We also have a very special announcement by Andrew and the KAWO team regarding their latest product release and in the spirit of supporting local startups and entrepreneurs in China, will be giving it away FOR FREE! Details inside so get listening! David shares his insights on the maker-manufacturer scene in China – a particular type of grassroots innovation led by makers and Shanzhai manufacturers through informal and open source systems. The term Shanzhai originally referred to cheap copy cats of brand products and particularly mobile phones in China’s hardware manufacturing center Shenzhen, but as David argues, has become way beyond copying. In with the Old, Out with the New! With guest Bunny Yan, founder and CEO of Squirrelz. Ever heard of upcycling? Neither had we! Today we talk with Bunny Yan and learn about her story of selling upcycled products offline to online. Bunny discusses how she tailors her pitch while "talking social" to VC's in China. How about running a multi-cultural team? Discover the benefits and challanges of having an International team while doing business in China. In this episode Willie Chou shares with us the secret weapon that makes NeoNan the largest male fitness and lifestyle online resource in China. We also discuss whether virality is random, whether premium content is scalable and how he and his co-founder Mike Yang use gamification to engage and motivate employees. Is raising a child and founding a startup at the same time even possible? Serial entrepreneur Hong Cheng discusses with us what it takes to be a mom-trepreneur and how she’s able to balance spending time with her family whilst building an empire. Uparenting is a mobile platform connecting parents and professional parenting practitioners, to source trusted, tailored, and real-time solutions for daily parenting advice. As an experienced and successful business women, Hong also shares with us her secrets to hiring, managing and retaining talents. Is the Holy Grail of marketing simply not marketing at all? This and more with world class word-of-mouth marketing expert Sina Farzaneh. In this episode, we sit down with China’s word-of-mouth marketing expert Sina Farzaneh to discuss how brands can grow organically by studying and engaging customers systematically. In 2010 Sina co-founded Advocacy, a marketing agency that helps identify and activate brand advocates for consumer goods companies. He is currently working on his new venture PullPath, a software platform to bring what he’s built at Advocacy to a grassroots level. We also discuss the advantage of word-of-mouth over traditional marketing methods, differences between doing marketing in Silicon Valley and China, and the role human behavioral understanding can play in technology advancement. We bring on the show our first female guest Jenny Zhu, who was the voice behind the iconic Chinese learning podcast ChinesePod. Jenny is now working on her new venture OpenLanguage to help young Chinese learn English using engaging audio and video content. In this episode we discuss the gender imbalance in entrepreneurship and Chinese parents’ influence on their children's career choices. Jenny also shares with us lessons she learned building and growing OpenLanguage and the importance of going local and mobile. Joe Constanty is the co-founder of THE UT.LAB, a technology driven footwear brand designed in Shanghai and sold globally, initially through Kickstarter. UT.LAB’s first Kickstarter campaign back in 2013 was the most successful footwear campaign ever and launched an entire new category for footwear brands on the Kickstarter platform. We also discuss why crowdfunding in China is radically different than in the West. We wrap with Joe sharing his new project called Purple Spread and what the local startup ecosystem can look forward to from Next Step. Understand China’s “guanxi” (social connections and relationships) culture, what it takes and how to capitalize on it with seasoned technology entrepreneur Alvin Wang Graylin. Alvin is the CEO and Founder of mobile social networking platform Guanxi Inc. and has over 20 years of business management experience in the technology industry, including 15 years in Greater China. In this episode we chat with Justin Mallen, the Founder and CEO of Silk Road Technologies, a Hangzhou-based corporate telecommunication services provider. The company builds data center for Alibaba, which processed $5 billion in sales online in the first 90 minutes of China’s Black Friday on November 11. Justin came to China 23 years ago and has been building businesses since then. As the sixth internet user in China, Justin discusses how China has developed from zero internet connectivity to an ecosystem taken over by smart phones and apps. Check out our latest episode with William Bao Bean, a Partner at SOSV and the Managing Director of Chinaccelerator, the first startup accelerator in the East and sponsor of China Startup Pulse. William shared his insights on the startup and investment scene in China and what it takes for foreign or global startups to succeed in China. We also discussed WeChat being a useful tool to engage customers or users with very low acquisition cost. This is a must-listen episode for those of you who are trying to understand what’s really going on here and how it is different from the West. A knowledge-filled episode with serial entrepreneur Jacob Cooke, founder and CEO of Web Presence in China. Launched in 2009, Web Presence is a full service digital marketing and technology agency based in Beijing. Jacob talks about why he chooses to spend more than his competition on hiring and training, the value of hiring female staff, the future of data science (big data) in China and touches on how to sell B2B in China. In this episode we caught up with Shanghai’s co-working space superstar Bob Zheng, the founder and CEO of People Squared (sponsor of The China Startup Pulse). Bob discusses how People Squared got started, it's rapid growth over the last few years and what the future holds. We also discuss the evolution of China's startup culture, the revolution around the way people are working here, and where to be based on the vertical you are innovating in. Investment pro-tips with Armand Zand founding partner of Red Lion Capital. We learn what's it like investing in China right now, how to you build your network for investment and what opportunities can you find in the current market. In this episode, we chat with Lee Tseng, founder of Boxing Cat Brewery and Liquid Laundry about the changing market dynamic in China, how to cater a western-style service to a local taste and benefits of working with strong female entrepreneurs . Dragons in the East, WeChat, and cutting through red tape with guest Andrew Schorr, founder of Grata. In this episode we chat with Andrew Schorr, founder of Grata, a WeChat product services platform and graduate of 500Startups. We learn what content marketing success on social media looks like and the challenges of starting a business in China. ​We kicked off with a great chat with Phillip Beck, a China startup ​guru​ with over 15 years of experience running and mentoring startups in China.